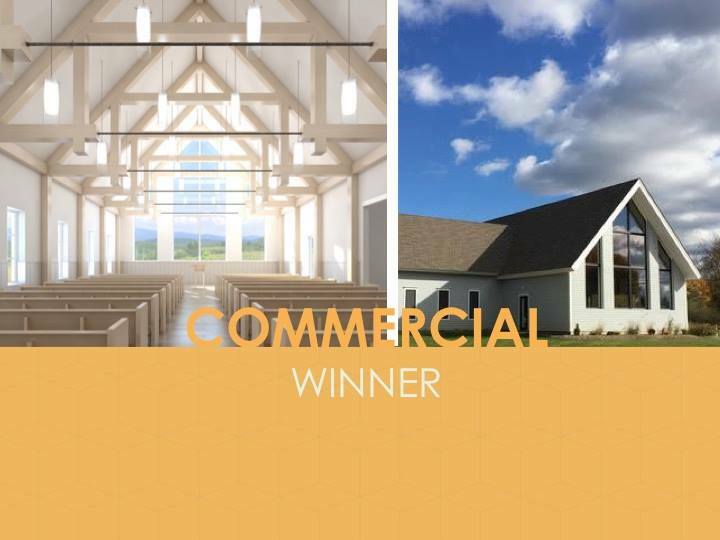 PHIUS 2017 Commercial Winner & the first Passive House certified church in the United States, the Seventh-day Adventists Church at Kinderhook. 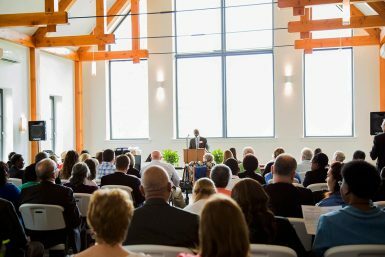 The 7,200-square-foot building includes a timber-framed sanctuary with an open ceiling and a wall of glass at one end. 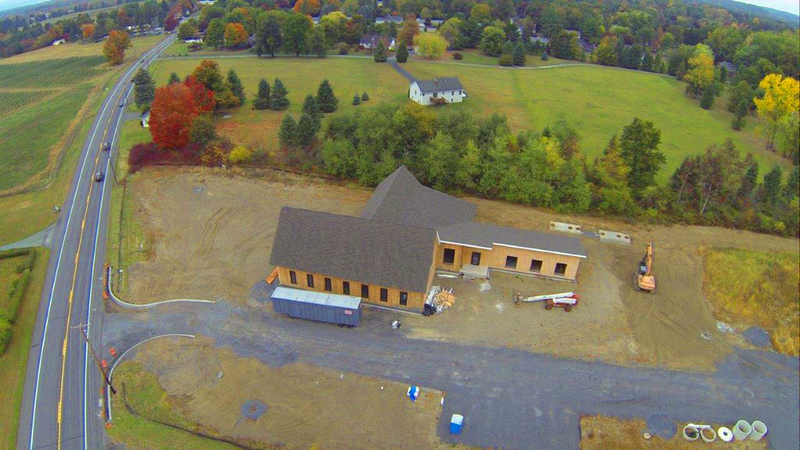 An attached wing houses classrooms, an area for toddlers, an office for Pastor Anton Kapusi, a fellowship hall, and a kitchen. 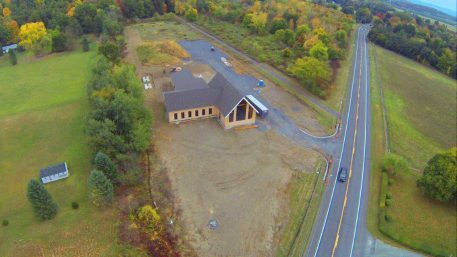 After a building campaign that spanned a number of years, the congregation held its first services in the new building on May 7, even though finishing touches are still to come later this year. 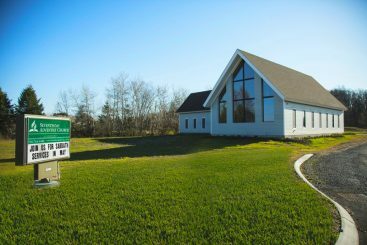 The congregation is a relatively new one, and it’s certainly no mega-church. 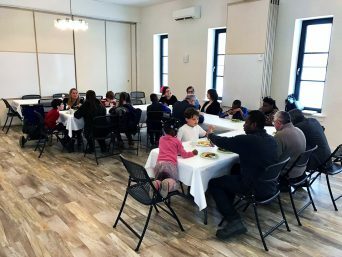 It was started just 14 years ago by a few families in New York’s capital region, and now has some 90 regular attendees, Kapusi said. 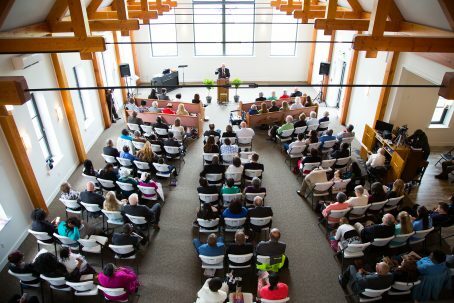 With guests, Saturday services may see between 80 and 120 people. Their path to Passive House building wasn’t a straight line. 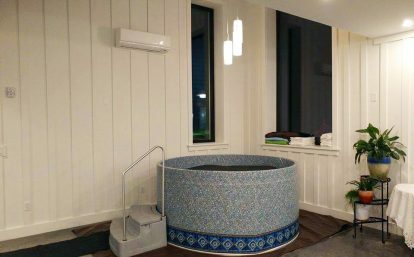 Under its former pastor, the church had started to plan for a new church building, but at the time, the Passive House standard wasn’t part of the deal. Then, four years ago, the pastor died and Kapusi took his place. His European background and familiarity with Passivhaus construction, plus travels in Scandinavia by building committee chairwoman Maud Celestin, were among the factors that nudged the building committee toward a high-performance design. The change would mean higher costs, and it posed its own challenges to BarlisWedlick Architects, which designed the project. 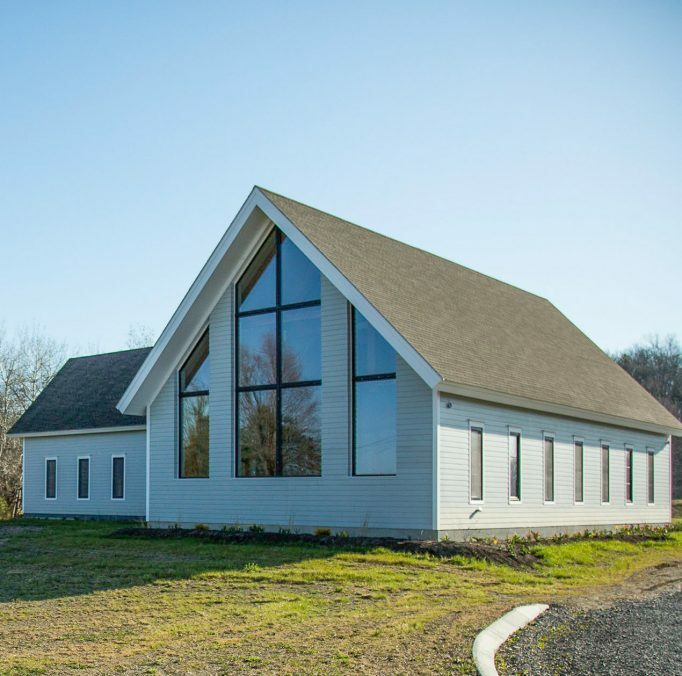 “The Kinderhook Church was perhaps the most challenging of our Passive House projects,” Mark Bailey, an associate at BarlisWedlick, said via email. 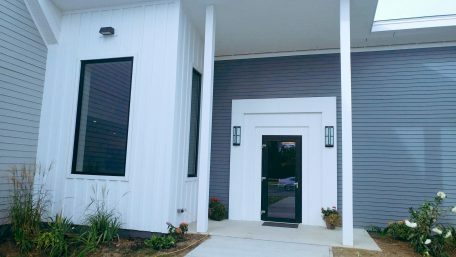 “It was our first attempt applying the principles to a non-residential building and the first time they’ve been applied to a building of this type. There was no precedent. Then it became a question of paying for it. 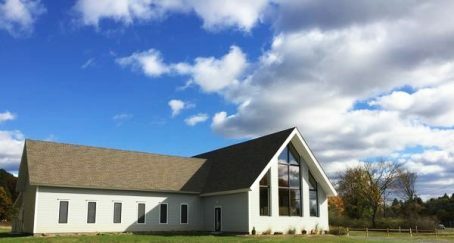 The church had planned on spending about $1 million. 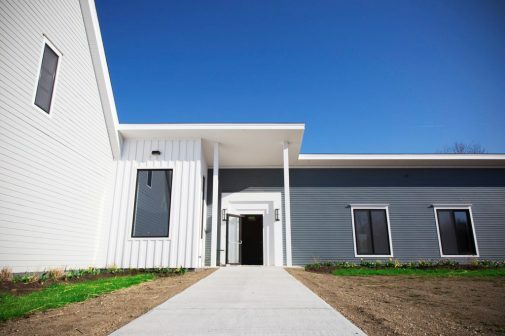 Their builder, Don Hills of Hills Construction Management, Inc., said they should be thinking more in the range of $1.4 million to $1.6 million — and Hills had Passive House experience. One reason for spending the extra money, he said, was the amount of money the church and two others in Kapusi’s three-church district were spending on energy. Another church in the district of about the same size could pay as much as $8,000 a year on energy. Taken together, the three churches were using a lot of money just to stay warm and keep the lights on. 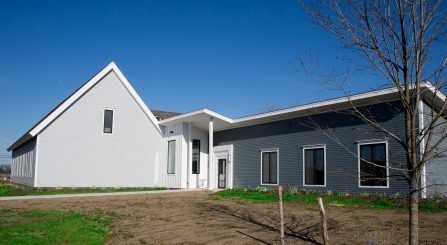 The group’s belief they were acting as God’s stewards of planet Earth also was a factor because a Passivhaus building has a lighter environmental footprint than a conventional structure. The high proportion of professionals in the congregation — university employees, physicians, and the like — were in a position to give generously to the building campaign, Kapusi said, and donations came in from around the country, sometimes from people neither Kapusi nor anyone else in the church actually knew. The church also got donations from local businesses. All the paint, for example, was a gift from a local retailer. 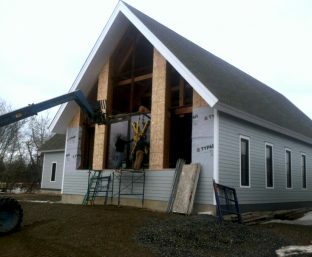 The building is constructed mainly with structural insulated panels (SIPs) manufactured by Vermont Timber Frames, the same company that fabricated the Douglas fir timber frame for the sanctuary. Panels are 12 1/4 inches thick and insulated with Neopor, a type of graphite-enhanced expanded polystyrene made by BASF. Jeff Brooks, Vermont Timber Frame’s sales manager, said that Neopor has about 20% more R-value per inch than standard EPS insulation. The panels have an R-value of about 52. The sanctuary is built completely with SIPs — cathedral ceiling and walls. 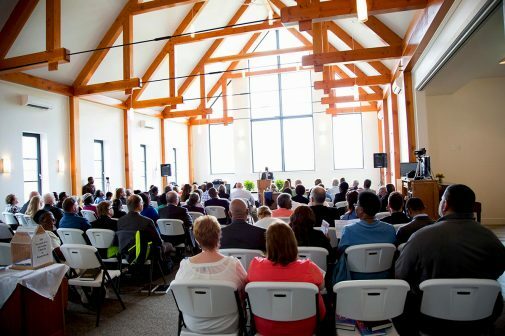 At one end is a wall made mostly of glass, and that was a challenge, said Jordan Dentz, the Certified Passive House Consultant on the project and vice president of The Levy Partnership. The two-foot-thick wall needed steel bracing inside to handle wind and structural loads, but the steel posed condensation and thermal bridging issues. Designers used a combination of closed-cell polyurethane foam and blown in fiberglass insulation to seal and insulate it. 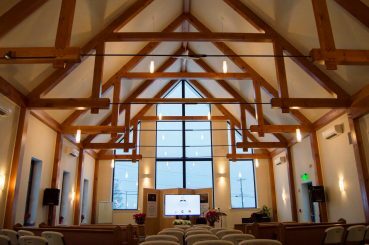 The attached wing has SIP walls of the same thickness as the sanctuary and a truss roof insulated with R-104 worth of blown-in fiberglass and closed-cell polyurethane foam, Hills said. Beneath the slab is a mix of Neopor and EPS insulation 14 inches thick. 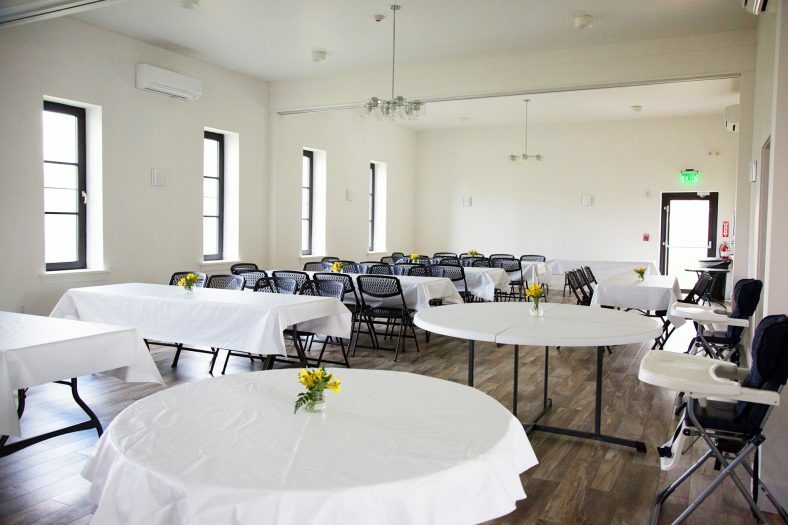 Other building features include triple-pane Intus windows, electric point-of-use water heaters for the bathrooms and kitchen, and Mitsubishi ductless minisplits for heating and cooling. Dentz said that the ventilation system, an UltimateAir energy-recovery ventilator, took some extra planning. 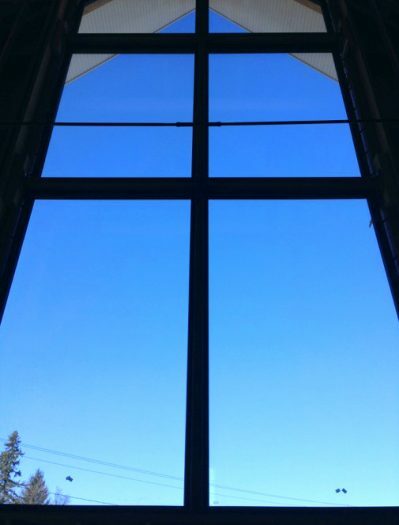 Not all parts of the church would be used at any one time, so to avoid over-ventilation, the building was divided into a number of zones where air flow could be controlled with occupancy sensors. In a blower-door test, the building registered 0.56 air changes per hour at a pressure difference of 50 pascals. The building is listed as pre-certified at the PHIUS website. Dentz said that once the ventilation system has been commissioned, the final paperwork for certification will be submitted.